Recognizing people as our greatest asset and their commitment and effort as the engine of our success. Allison (Allie) oversees all aspects of Sales & Customer Service for Trout Lake Farm while personally managing accounts primarily in the Tea & Beverage arena. Since joining the Trout Lake Farm sales department in 1997, Allie has been blessed to see Trout Lake Farm through many seasons and changes over the years and knows that the best is still yet to come. Allie works tirelessly with all Trout Lake Farm departments to ensure that our customers are receiving the best possible service & products. Allie believes in a very hands on approach and can be witnessed with her fingers in just about everything, from contracting, to production scheduling, to daily evaluations of the product coming off of the production line. She loves to get out in the fields, especially when hosting visits, to commune with nature and capture a few shots of the hard work in progress. When asked what she loves most about her job, Allie said #1, her customer relationships, so many of whom she considers personal friends after 20 + years. #2, providing the highest quality products that help people to stay healthy! In her personal time, Allie enjoys getting out for a hike, traveling (as many of you know, she loves Hawaii), hosting dinner parties and spending time with her family & friends. 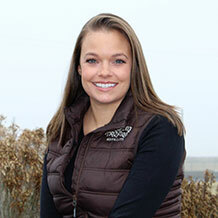 Katie was born and raised in Quincy, Washington, 20 minutes from where the Ephrata farm is located. She grew up on a family farm growing commodity crops which makes her accustomed to the industry. She went to college to become a Preschool Teacher, and was a teacher for one year before taking a Secretary position at the Nutrilite Plant in Quincy. While working for Nutrilite, Katie had her first introduction to Trout Lake Farm and organically grown herbs. Katie highly believes that it’s our duty to be stewards of the land and use sustainable practices to further better our soil and protect our biggest natural resources; which is exactly what Trout Lake Farm does. She loves getting to know her customers and learning as much from them as possible! In Katie’s spare time she enjoys being wrapped up in a good book and spending time with her longtime boyfriend, family and friends. 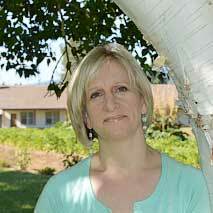 Danielle has been an integral part of the farm since her arrival in 2009. She is responsible for all farm operations including preparing ground, planting, cultivating, all the way through harvest to root washing and bin drying. Danielle has been a leading force in the implementation of Good Agricultural Practices (GAP) and Trout Lake Farm is proud to be an industry leader in food safety standards. She has created an entirely new farm documentation system and standard operating procedures and has set the highest standards for safety on the farm. The safety of her employees is her number one priority. Danielle’s favorite part of her job: “…when I am out in the field on early morning rounds and see everyone working hard in the weeding crew, the tractors moving through the fields, the sun rising against Mt. Adams, and the day going according to planned, it’s one of the most satisfying feelings.” She is a strong promoter of organic, sustainable agriculture and does everything she can to promote the health of the soil and environment around her. When she is not working; hiking with her pup, gardening, camping, fly fishing, sewing, and cross country skiing are just a few of the things which keep her busy. Born and raised on a farm, Phil has a lifetime of agricultural experience. 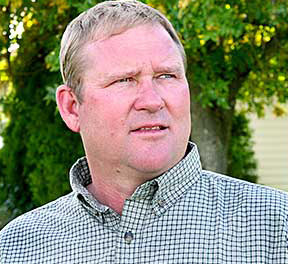 He was recruited in spring 1998 to manage Trout Lake Farm East. Managing the East Farm was Phil’s first experience with organic herbal agriculture. The greatest motivation in this position was the new and different challenges to overcome to successfully grow and harvest such a variety of herbs. Unlike conventional commodity type agricultural crops there continues to be plenty of room for innovation in the organic herbal farming industry. This keeps the job exciting and interesting. 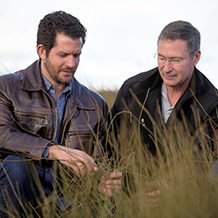 With new research crops being trialed at the East Farm, the future promises to keep Trout Lake Farm and Nutrilite as leaders in the industry. Phil is proud to be a part of that leadership. 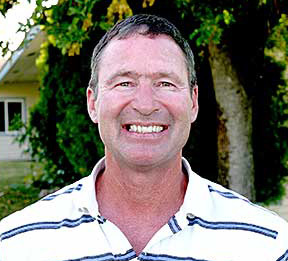 Phil enjoys weight training, traveling with his wife, and spending time with his 4 children and 9 grandchildren. 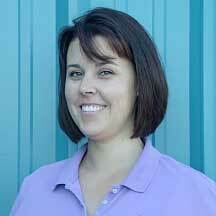 Heather is responsible for Quality Assurance functions at Trout Lake Farm, LLC. She brings 19 years of quality leadership experience in the food industry and a strong background in pathogen control and sanitation. In her current position, Heather supports Operations with a team based, first time quality ethic focused on streamlining quality processes and making Trout Lake Farm products second to none in food safety, quality and regulatory compliance. Heather has recently joined the AHPA Board of Trustees and is active in service within her community. She is a native of Washington State and enjoys spending time with her two daughters, gardening, reading and making handcrafted soap. Franklin stands at the forefront of the fast moving and most important R&D trend in medicinal herbs: IngredientNext. He has spent most of his career in academic research of horticultural crops, and did a 3-year stint with the USDA Foreign Agricultural Service working on international trade policy for fresh fruit and vegetables. 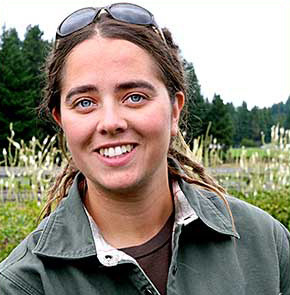 Franklin is a plant biologist, physiologist and horticulturalist at heart. Franklin has been acknowledged in and co-authored scientific publications on diverse topics ranging from entomopathogenic fungi to business enterprise decision-making tools to genes, proteins and molecular pathways. His current research goals are to understand how to influence plant growth as well as economically-important secondary metabolites. As a calculated risk-taker with a passion for ‘once in a lifetime’ experiences, Franklin has championed agricultural revitalization projects in Iraq such as introducing plastic greenhouses, drip-tape irrigation and the Thompson seedless grape variety. Franklin was recognized with a U.S. Army Commander’s Medal for Civilian Service for his commitment to the hundreds of Iraqi farmers he influenced and worked with to rebuild the agricultural sector. For Franklin, Trout Lake Farm is the culmination of his career aspirations since he is involved in discovery, exploration, forward-looking vertical integration, crop improvement and product research and development. In his spare time Franklin likes to fly helicopters so he can obtain is pilot license. Darwin has over 20 years of experience in implementing innovative practices and technology in the growing, harvesting and post-harvest operations with various agriculture crops. One of Darwin’s proud accomplishments was promoting and incorporating the first use of RTK GPS technology in Nutrilite Global Agribusiness Operations’ farms, showing cost savings and benefits. He also introduced and worked with teams to develop Nutrilite’s IGS (Implement Guidance System) concept, which is the latest in Precision Mechanized Equipment Technology. This saves in weeding costs and benefits the botanical purity in our products. Darwin is passionate about solving technical and mechanical issues. Darwin loves a challenge and he works tirelessly toward new, innovative solutions. He has been involved in farming since he was a boy and loves the challenges and joys of the farming life. He also loves music and is the drummer in his Church’s worship band. He is married and has five grown boys.